Homeowners are often surprised when we tell them about how many different options there are for asphalt shingles. Apparently, they look so alike for most people that they assume there are only one or two kinds. Of course, not many people are up on rooftops looking at shingles all day or putting a roof together. It does take an experienced eye to see the differences in types of shingles. In addition, in a cooler climate like Michigan, it may make more sense for most people to choose a dark color. Dark colored shingles attract and absorb more heat from the sun, which can benefit a house interior in the winter. However, on the flipside the same is true in summer. That is why good ventilation and insulation are so important in all climates. I’m here to tell you, though, that there are not only different colors of asphalt shingles, there are different shapes and ways to put shingles on a roof. If you knew this already, that is great. If not, let’s look at the two primary types of shingles and why they differ. I’ll give the pros and cons for each kind. Architectural shingles are also called dimensional or laminate shingles. 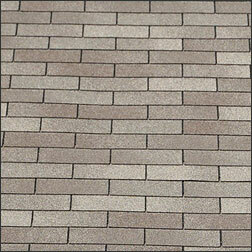 They have a different look from the traditional 3-tab shingles in that they come in various shapes and sizes. 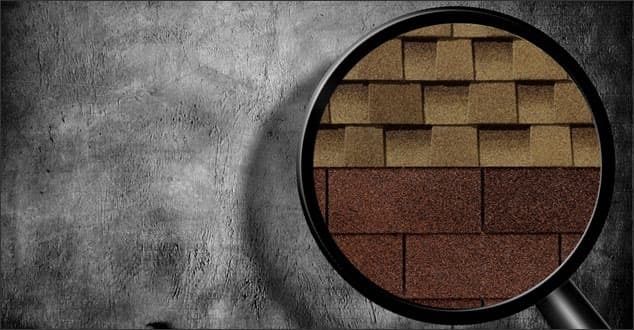 Whichever option you choose, there are pros and cons for each type of asphalt shingle. We would be happy to show you each option and review with you what makes the most sense for your style and budget as you approach your new roof. Are you located in the Southeast Michigan area? Please give us a call. We would be honored to help. The roofing contractor that gave me a quote, said there is no difference in the cost of a 3 tab flat shingle to a dimensional because they control the manufacture, they pay the same price. Is that true? Is the installation price the same? When we give a quote, there is a price difference between a Three Tab Shingle vs a dimensional shingle. 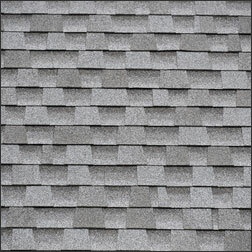 Architectural (Dimensional) shingles cost more because they are heavier and cost more to produce. Installation price is the same.